I'm only discovering the wonderful world of sunglasses now, it is almost as though I have been living under a rock for the past few years. 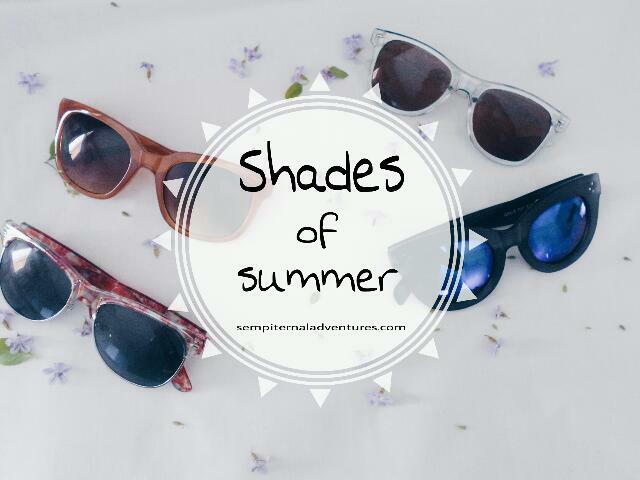 Sunnies work as a fantastic accessory and go very well with a bold lip colour. I guess you could say this will be my uniform for the remainder of the season. 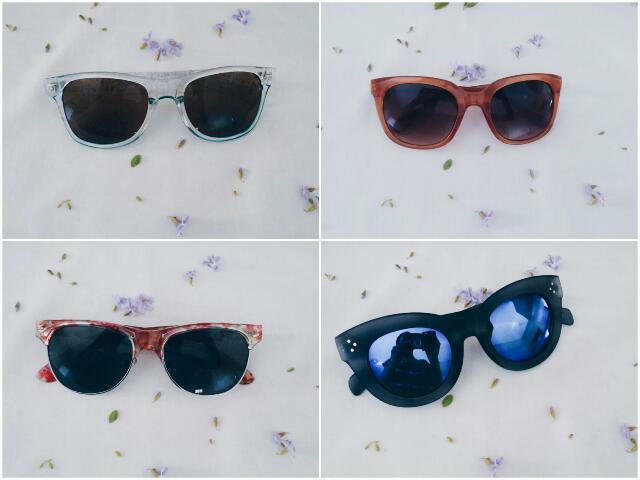 I thought I would share my mini sunglass collection right in time for sunnies season. 1. Transparent frames are big right now. I think this pair of sunnies is perfect for a day out at the beach with a casual outfit. The tint of turquoise adds a bit of colour to the sunglasses and make them a little different from the rest. 2. A pair of oversized sunnies are a must-have and thank you to Elle Magazine for these sunnies which came free of charge with an issue of the magazine I purchased last year. It's good to be glamorous and make a statement from time to time. 3. These sunnies just scream summer and it's probably a known fact by now that anything that has to do with summer will never fail to make me happy. I don't think these sunnies work well with a bold lip because the frame has a floral design and that is a statement itself. The frame however, is my favourite aspect of these glasses. They add a statement to an outfit and complete any look. 4. These are my latest addition to my mini collection. The have a a retro design and as I stated in my previous post, it is what I am loving at the moment. With the super-bright shades and the attention-seeking frame, I think I am ready to hit the streets this summer.